Every summer is the #summerofriesling and a good region to start is the Finger Lakes in New York - "North America's premiere cool-climate winegrowing region". These are the words from the Finger Lakes Wine Alliance, which handles the region's wine marketing and hosts many tasting events throughout the year. This past Saturday they hosted, the "Finger Lakes Wine Hour" - actually 4 hours of tasting and tweeting about Finger Lakes wine. 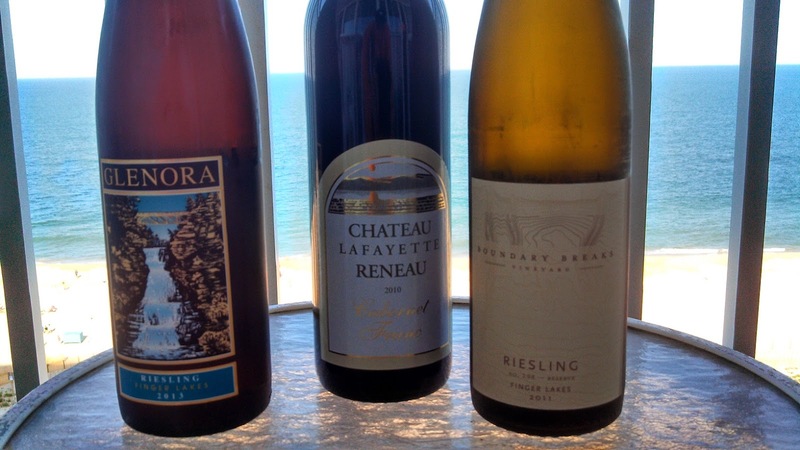 Besides Riesling; Cabernet Franc is a focal point and my sample pack consisted of wine from both of these gapes - and all from Seneca Lake courtesy of Glenora Wine Cellars, Chateau LaFayette Reneau, and Boundary Breaks Vineyard. Interestingly, Gene Pierce & Scott Welliver own Glenora and CLF as well as Knapp Vineyards Winery - and maintain as three separate entities. 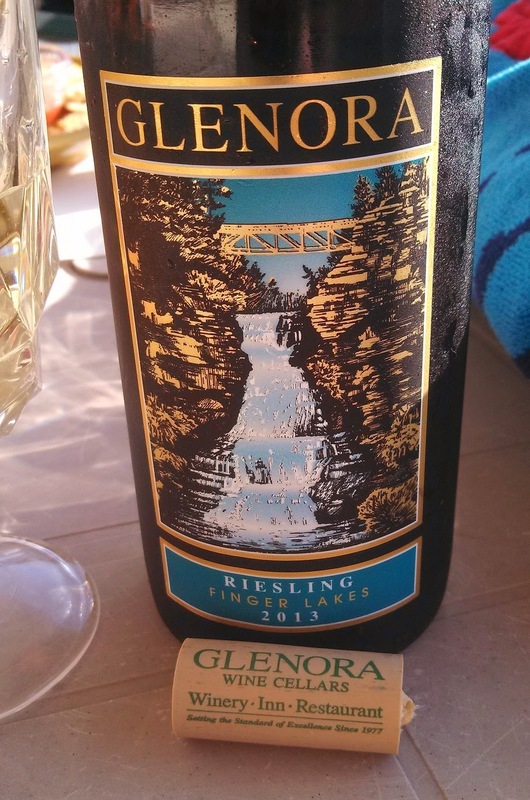 I started with the Glenora Wine Cellars 2013 Riesling ($14), an off-dry wine coming in at 3.52% RS and 12% alcohol. 68% of the grapes came from the east side of Seneca Lake and 32% from the west side; thus a mixture of the various micro-climates in the region. The finished product is juicy white fruits (apricots and peaches) with the acidity balancing the sugar nicely. Now this is a summer wine. 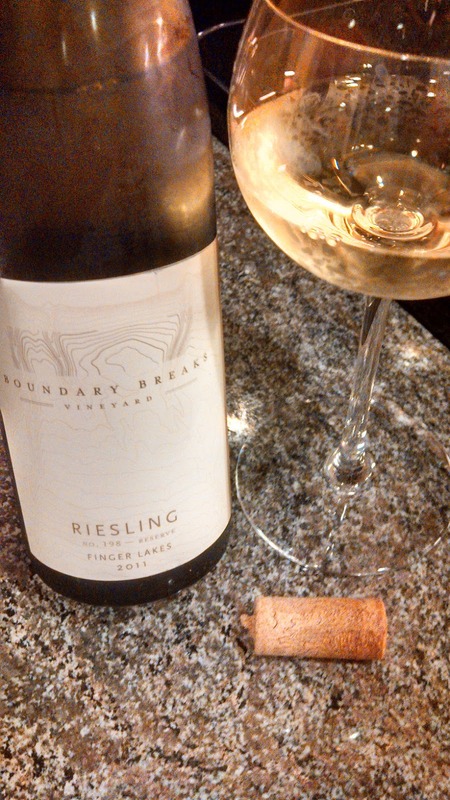 Boundary Breaks Vineyard focuses solely on Riesling, usually single vineyard and in this case, their 2011 Riesling #198 Reserve ($25) is a single vineyard, single clone (Geisenheim #198) wine. It weighs in at 5.7% RS and 8.9% alcohol - and, once again, all white fruit - apricots and peaches - but a much stronger presence; nice acidity to balance sugar; and easy drinking despite the RS. With the late October harvest there are traces of botrytis that enhance this wine's profile. 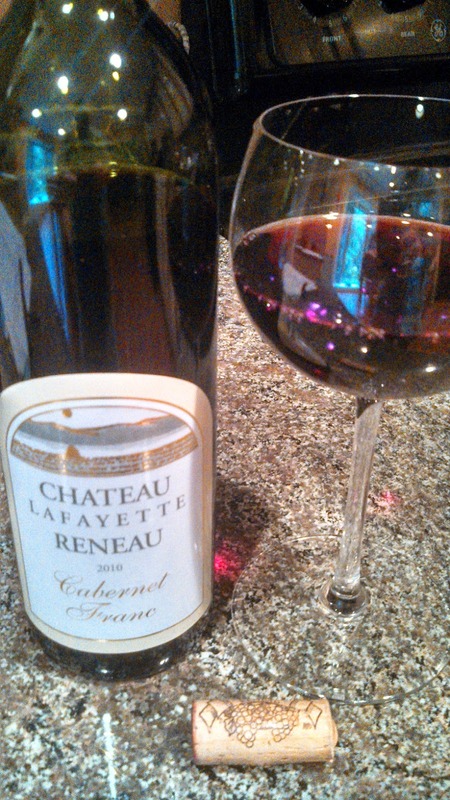 Chateau LaFayette Reneau is located on the southeast region of Seneca Lake and their Cabernet Franc grapes come from an acre parcel from the estate. After fermentation, the wines is aged 18 months in new or used French & Hungarian oak and then bottle aged for 6 months before release. The 2010 Cabernet Franc ($19 & 12.5% alcohol) has a slight pepper - light cherry aroma, followed by an easy drinking medium bodied cherry flavor finishing with very smooth tannins. Here is a Chinon styled CF ready to drink now. 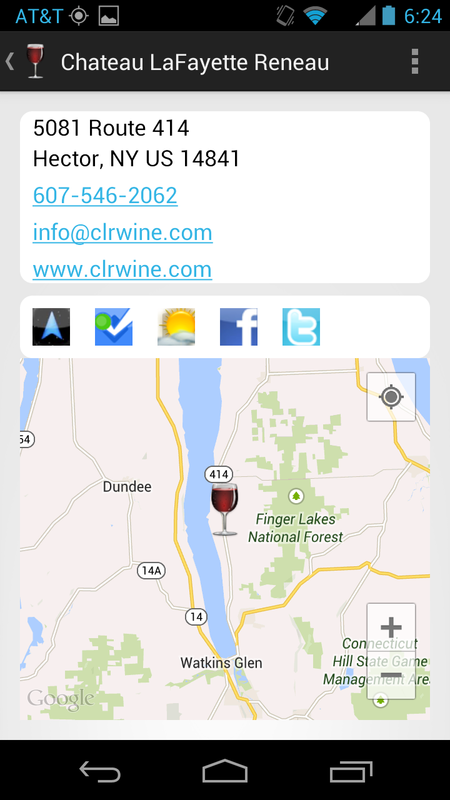 The Finger Lakes provides many opportunities for nice, affordable, low alcohol wines. Still looking forward to planning a visit to the region. Hopefully soon. Cheers.